“Morrison’s introduction…positions the works within their literary and cultural contexts, and is also sensitive to their profound impact on a wide range of later writers. Morrison emphasizes De Quincey’s innovation and significance as a writer about drugs and addiction, a truth sometimes forgotten by scholars (although rarely by undergraduates), and reminds readers that this is the case with “The English Mail-Coach” and “Suspiria” as well as the Confessions…. Morrison and Oxford University Press have produced a volume of exemplary clarity and scholarship that makes accessible three of the richest and most complex prose texts in the English language. 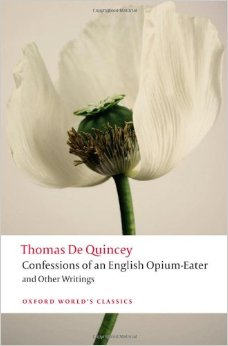 Those familiar with De Quincey will find it a valuable reference point, and it is hard to imagine a better presentation of his work to new readers.” – David Higgins, Notes and Queries, 62.1 (2015), 163-64.